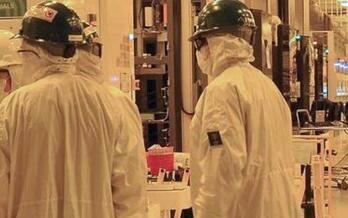 At Hallam-ICS, our passionate engineers care about your staff, your facility, and your goals. Success for our team is a working relationship that makes your life easier by protecting those priorities with an industry-leading TGMS. At Hallam-ICS, we develop top-tier toxic gas monitoring systems (TGMS) to ensure semiconductor and nanotechnology facilities are safe and in compliance with all regulations. Our teams create reliable, secure, high-performance life safety systems and develop best practices that are easily adaptable to ever-changing research and manufacturing hazardous gas target requirements and allow your research and development to thrive in a safe facility. A leading-edge semiconductor manufacturer committed over $10 Billion to build their campus with a goal of becoming the largest foundry in the United States. 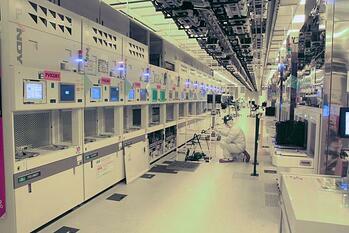 Construction of the new Fab was a significant undertaking with an aggressive schedule. To select a provider of the Toxic Gas Monitoring System (TGMS) for the site, several items were identified as being important. The manner in which a “toxic gas monitoring, safety shutdown system” is designed, harmonized (hardware and software), validated and maintained will determine its ability to detect risks and automatically activate safety measures to avoid very dangerous situations. Read our whitepaper to learn best practices based on years of studying codes, attending (SESHA) seminars, collaborating with other safety professionals and designing world class toxic gas monitoring systems. A poor SRS is the root cause of 44% of safety system problems. Download our Cleanroom Areas Safety Requirements Matrix now to learn more about safety requirement specifications. 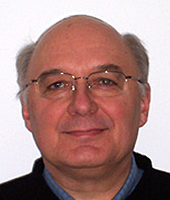 "For the past 20 years I have been focused exclusively on designing Toxic Gas Monitoring Systems (TGMS) on a large scale and in small R&D facilities with only one tool. Large scale opportunities begin with the first “LonWorks” based TGMS, configured in Germany and installed in the USA with MST. This TGMS was initially a 600 point gas detection system installed at the “White Oak Semiconductor” FAB in Virginia. We were fortunate to begin our “learning process” at Hallam-ICS by actually “teaming” with major gas detection manufacturers. At their request, we initially did the upfront and final designs, with our teaming relationships including Zellweger Analytics (now Honeywell Analytics) and now also with DOD Technologies and Draeger. Over the years our involvement and capabilities has expanded to where we now provide turnkey services, beginning with user requirements, design, fabrication, installation, integration and validation of TGMS platforms." Where should my gas detection sensors be located? 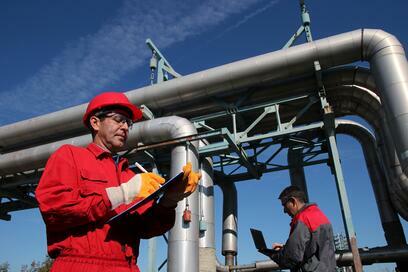 How do I choose the right gas detection technology? Is following code requirements sufficient? Can you explain cross sensitivity and cross interference? 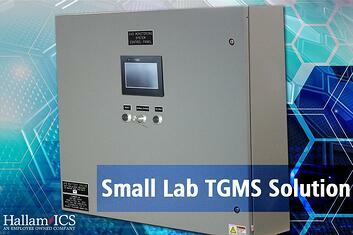 The Hallam-ICS Small Lab TGMS panel with a panel mounted HMI is available starting at $15,000. We are bringing our experience to the smaller spaces in a price competitive manner while offering robust functionality found in larger systems. 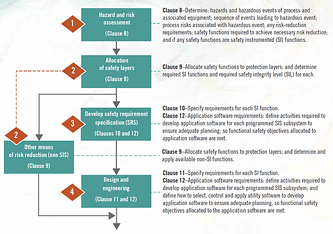 "System integrator Hallam-ICS uses risk assessments, methodical attention to detail, process automation, IEC 61511-1 and other strategies to make sure its toxic gas monitoring systems (TGMS) are safe for its users."